Kickstarter Spotlight: Fandom, Gender, Free Comics and Sharks! Welcome to the first edition of a new regular Thursday feature where we spotlight cool projects you can find on Kickstarter! Keep in mind we do not guarantee the completion of any of these projects and are not responsible for the end result. We do include a warning of what we think the likelihood of issues are and how risky the project is. When you think of “fandom” it’s not always in the flattering of lights. Society paints fans, especially those of comics, science fiction, etc., in a negative way, depicting them as geeks and nerds. This film will delve deeper into these communities to show there’s more to them. The film will focus on Nicole, both a fitness professional and a die-hard fan. Her two very different worlds will blend together to show that there is more to belonging to a fandom than the “fanatic” stereotype society has given us. The two folks behind it, Nicole and Liz, both went to film school and between the two of them they’ve worked on dozens and dozens of films and projects. They know that in the film world, anything that can go wrong will go wrong and they’re more than ready to tackle anything that comes their way. I like the idea of shedding a positive light on fandom, and doing so with a focus on a female fan not only takes on the stereotype of fans, but also women’s roles within it. The project has a modest goal of $3,000. Best Pledge: $25 – You get updates of the film, but also a DVD of the film and a link to an early version of it. The price is about right for what I’d pay for a DVD movie. There are some cooler levels at higher amounts. Risk: MEDIUM – This is the first Kickstarter project for the two. While I think they know production, things might happen, so if anything I’d expect a delay from the delivery date of this September. 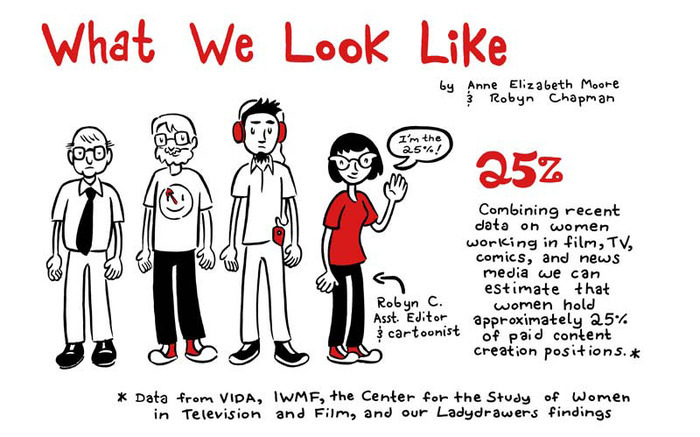 Our friends over at Ladydrawers are putting together a different documentary. This one is an ambitious project with the primary aim of addressing media justice in comics and popular culture. They intend to portray the underlying forms of discrimination that impact representations of women, queers, trans folk, non-binary gender people, and people of color in comics. They seek to support a diversity of racial, gender, and sexual identities that make up our society as well as unveil the surprising economic injustices and cultural biases that occur. Their goal is to present a sincere heartfelt documentary that captures their love for comics while critiquing the structure of the comics industry. They intend to implement an experimental process to give form to their extensive original research that mirrors the comics themselves. Through a myriad of interviews with comics creators, readers, bloggers, vendors, fans, and the general public, they strive to foster a multiplicity of viewpoints in the comic-book world and our culture at large. It’s great to get a critical look at our comic culture, and Ladydrawers does just that with thought and research. This isn’t a knee-jerk reactionary group, these are folks who think things through and make their arguments with facts and research. It should be very interesting to see what they come up with and the end of the result of the project. Critical analysis of the representation of individuals in comics is good. Different viewpoints are good. Research is good. Discussion of these issues is good. So of course this is a project I can get behind. 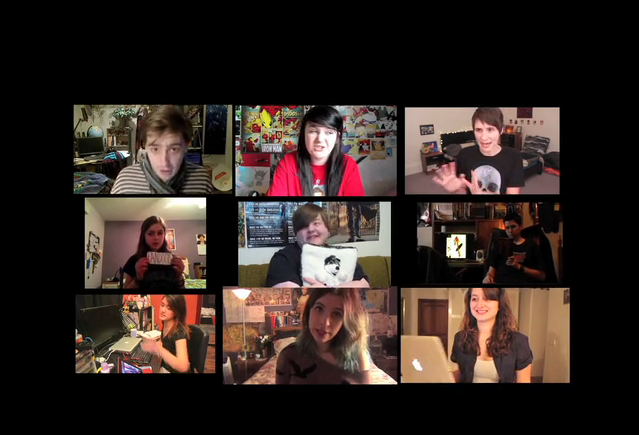 Best Pledge: $35 – This gets you a digital copy of the movie and some other items. It’s the one I chose when I pledged. So yes, my money is in on this one. Risk: LOW – This is the first Kickstarter project for the group, but they’ve put out other items in the past. While I have no idea if the December date is realistic, I feel confident the project will be completed within a reasonable amount of time. It’s that simple, a great way to get comics into the hands with folks and with only hours left, a guaranteed one to get funded. 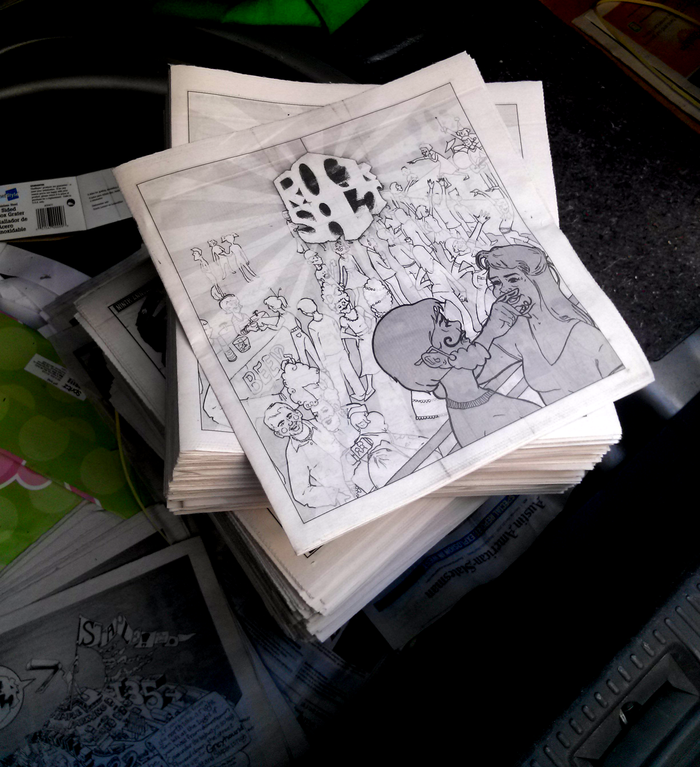 Best Pledge: $25 – This gets you a copy of all nine issues mailed directly to you. It’s a great way to check out some indie comic creators from the Austin area which has a great track record for churning them out. Risk: LOW – This is the first Kickstarter project for Geoff, but he’s released items before. The time frame might be tight, so I’d expect it to slip by a month or two. Sharks…. is there any other reason you need to give to this? 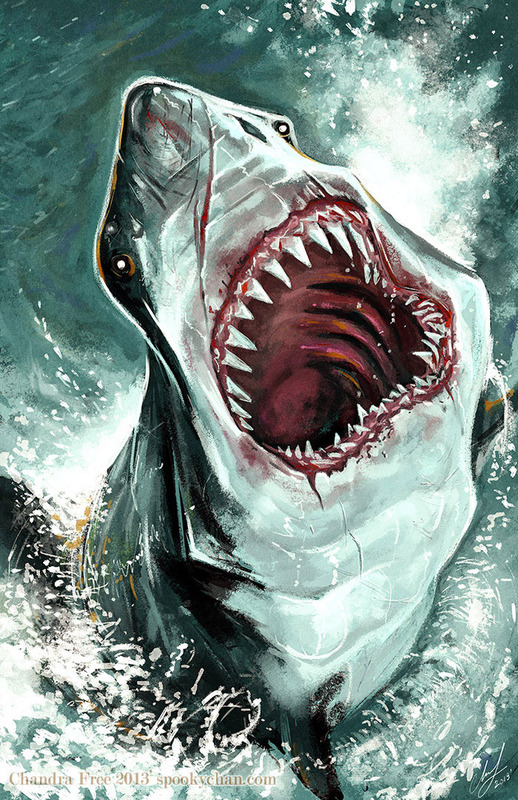 Frenzy is an original illustrated horror/thriller novel about one of the world’s most beloved animals… sharks! It is an original novel authored by Andrew E.C.Gaska, and will be produced by guerrilla design studio BLAM! Ventures, LLC. Frenzy is a special project because while it is a prose novel (not a graphic novel), the book will have over 20 paintings and another 20 pen & ink illustrations from a diverse array of talented artists to help tell the story. These talents include AMAZING artists such as menton3, Bob Eggleton, Dave Dorman, Erik Gist, Steve White, Aaron Miller, Dan Dussault, Chandra Free, and more to be announced! Not only do you get a cool story, but that’s a hell of a roster of talent when it comes to the art. You can see some examples of their skills and talent on the Kickstarter page. I’ve also read a lot of Gaska’s previous work, and the man is a talented writer. Plus there are sharks, that alone is enough reason to pledge to this one. In full disclosure, I’m marrying one of the science advisers. I would have given to this no matter what though. Best Pledge: $25 – This gets you a digital copy of the book, but I’d go higher than that, there’s some very cool higher pledges. I myself am going with the $70 pledge to get a sketch from Chandra Free.